In addition to exporting one horizon at a time, you can export multiple horizons at the same time. 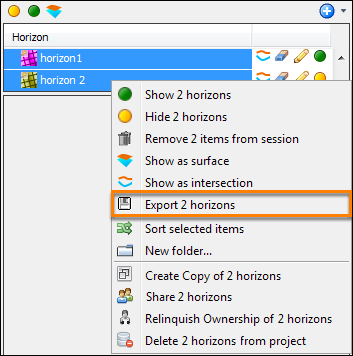 In the Horizon tree, select the horizons that you want to export. 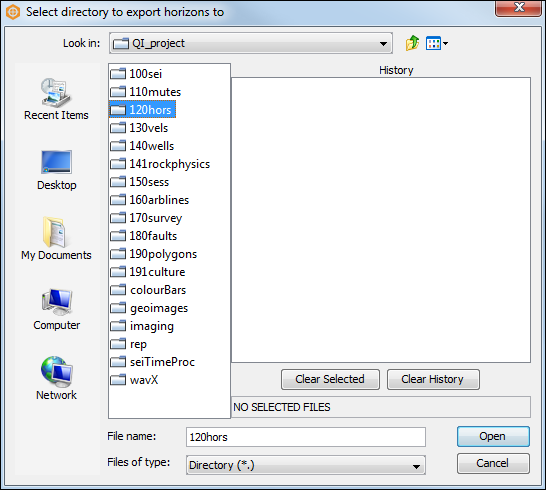 Right-click the selected horizons and click Export 2 horizons (if you have selected two horizons in the tree). Insight will automatically open the project folder. Select the directory where you want to export the horizons and click Open. Insight will display a warning if it detects any existing horizon files in the selected directory. Click Yes to continue exporting and overwrite the horizons. Otherwise, click No to cancel the export.